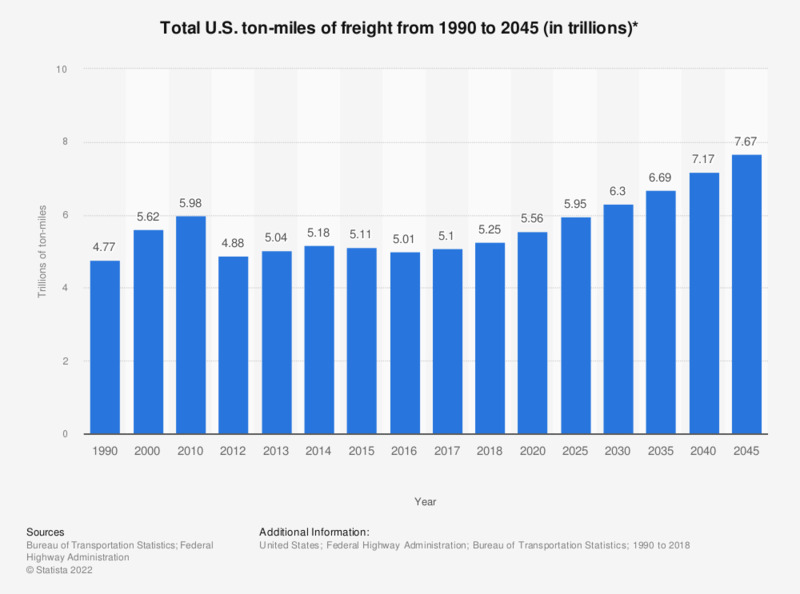 The timeline illustrates the total US ton-miles of freight from 1990 to 2015 and gives a projection through 2045. In 2015, there were a total of 5.16 trillions of ton-miles of freight. The highest share of freight was moved by truck. * Air, truck, railroad, domestic water transportation, multiple modes and mail and pipeline. Statistics on "Logistics industry in the U.S."